What motivates people to get their hands dirty and put up with too many weeds, plant hungry bugs all to see some bits of color surrounding our little plots of land? Perhaps we still possess that basic instinct to grow food for our survival. Perhaps it's to put our own mark on this same little plot of dirt we call our own. Perhaps it's a need to get away from all the stress of work, world politics and maybe even a little family strife. Whatever the motivation that initially sparks our need to play in the dirt and grow something, that desire usually grows into more than just a passing interest— often becoming a lifelong passion and source of endless hours of real enjoyment. If you've already gotten your hands dirty, then you understand this passion. If you're just curious about what it is that you've got growing in your backyard, you've taken a big step my friend. Curiosity is what keeps you young. Growing plants can be so much more than just picking up something in a pot and sticking it in a hole in the ground. Sure it might start out that way, but you'll soon be out there in the backyard watching that little 99 cent bargain plant to see how its doing. In no time at all you'll be reading the Sunday morning newspaper for tips on how to handle aphids. There are three basic types of gardening: vegetable gardening, fruit bearing gardens, and gardens that impart the beauty found in nature. While all plants are basically the same in that they grow, have some type of blossom, and then bear seeds for propagating their species. Some of those flower and seed bearing plants we have designated as vegetables or fruits. Also included in this classification are those plants that we consume various parts of the plant. These plants could be considered beautiful, but for the purposes of this discussion, we're going to classify gardening as it relates to their beautification of our environment whether they be flowers, trees, ferns, or shrubs. Roses have been coined as the queen of all flowering plants. Roses offer a range of color, shape, and scent that is unrivaled. Few plants are more varied in growth habit, height, foliage and form. Roses are adaptable plants that grow well in almost all parts of the world. 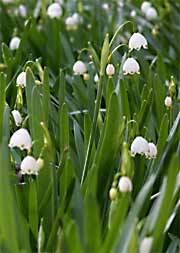 They're most vigorous in warm-temperate regions, although some have adapted to subtropical or cold regions. 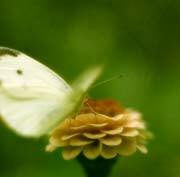 In hot climates, some may flower most all year. Roses have an aura of mystery surrounding them with a reputation for being difficult to grow. Some are indeed difficult to grow, especially if the gardener is interest in show-quality perfection. This however, shouldn't be a hindrance since there are thousands of roses that the average gardener can grow and enjoy. 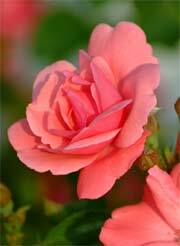 To better understand the different kinds of roses, it's a good idea to have a grasp on rose classification. Hostas, that many gardeners consider to be one of the most beautiful foliage plants in the garden, are relative newcomers to the world of American horticulture. At the beginning of the 20th Century, hostas weren't even listed in the definitive American horticultural catalogs of the day. Today, hostas are one of gardener's favorite shade-loving plants. Hostas are actually native to the far east and Japan in particular. Most hostas grow best in rich loamy soil with a pH of 6. The soil should be moist, but well-drained with lots of organic matter. Some of the large hostas grow well in heavy clay soils which are rich in plant nutrients. Hostas grow best in shade, they do tolerate some sun, even in the South. 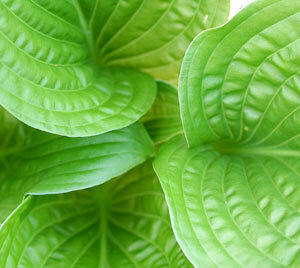 While most Hostas will prosper in light or dappled shade, they will not thrive in deep shade. The list is also continually growing for full-sun Hostas. The first signs that your hostas are in too much shade become noticeable after a few years in the same spot. The plants don’t want to flower and have a very slow growth rate. Hostas do best when planted with limited root competition from trees and shrubs. One of the true miracles of nature are spring flowering bulbs. 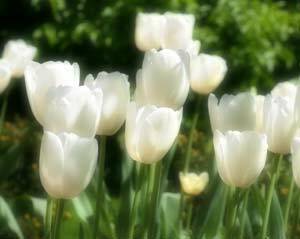 Each bulb contains everything necessary for producing a beautiful bloom with little effort on the gardeners part except putting the bulb in the soil. A true bulb consists of a modified underground stem surrounded by modified leaves that contain stored food for the plant. True bulbs have scales held together by stem tissue. Hardy true bulbs usually bloom in the spring. They go into a start of rest in the summer. 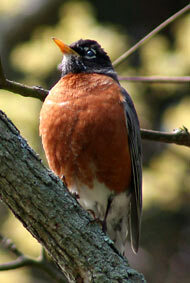 After a period of low temperature, they begin growing again in the fall and early winter. 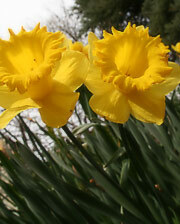 Tulips, daffodils, and lilies are common examples of true bulbs. The planning and design of small garden spaces, patio areas, balconies or theme gardens is often much harder and complex than that of an entire front or backyard planting. All of the elements of good design must be observed, but on a smaller and more intimate scale. It is almost as if we were to take a look at the space through a microscope and see the inner workings of the activities and aspects of a miniature world of it's own. The use of 'dwarf' shrubs is only the beginning, with careful study into the horticultural term of a 'dwarf' shrub. Technically, any plant that grows to a smaller size than that of the 'parent' plant is a 'dwarf'. In some cases that could mean a plant of 10 to 12 feet in height, as the original plant would typically reach 30 to 40 feet in height - "All dwarf plants are not created equal." Making the most of what little space you have depends partly on the plants used and partly on the design. If lack of space is the only reason for not having a vegetable garden, you no longer have an excuse. Plant breeders and seed companies are now offering a wider variety of vegetables and plants suitable for containers. Even apartment dwellers with only a balcony can enjoy fresh vegetables grown by their own hands. Soil used in containers must be porous to ensure air and water movement around the roots for good plant health and productivity. Regular garden soil does not drain well in containers and should not be used. 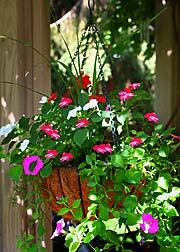 Potting soil appropriate for containers can be purchased at local garden centers, or you can mix your own with one part compost; one part garden loam; and one part clean, coarse, builder's sand or perlite. A slow-release fertilizer may also be added to this mix. Most people think ground covers they think of the low-growing ivy and pachysandra, both of which do fine jobs covering the ground. But actually, any mass planting that grows together to form a uniform mass planting, effectively covers the soil, and remains green for at least most of the growing season can be suitable for a living ground cover. The one big disadvantage of grass as a great ground cover is that it requires regular maintenance: mowing. Ideally, a good ground cover would require very little maintenance. Although grass does require regular maintenance, it's big advantage is that it will stand up to lots of traffic, where most ground covers can only handle periodic traffic. Ground covers are extremely popular with many gardeners for the simple reason they're easy to grow and maintain. They don't require regular mowing or fertilizing and most will survive without supplemental watering. Ground covers are basic low maintenance plants.